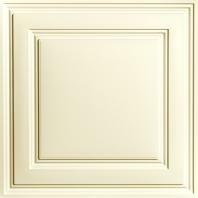 Stratford ceiling tiles - easy to install at any age! The installation went very well. I am a 67-year-old woman and I did the installation by myself.